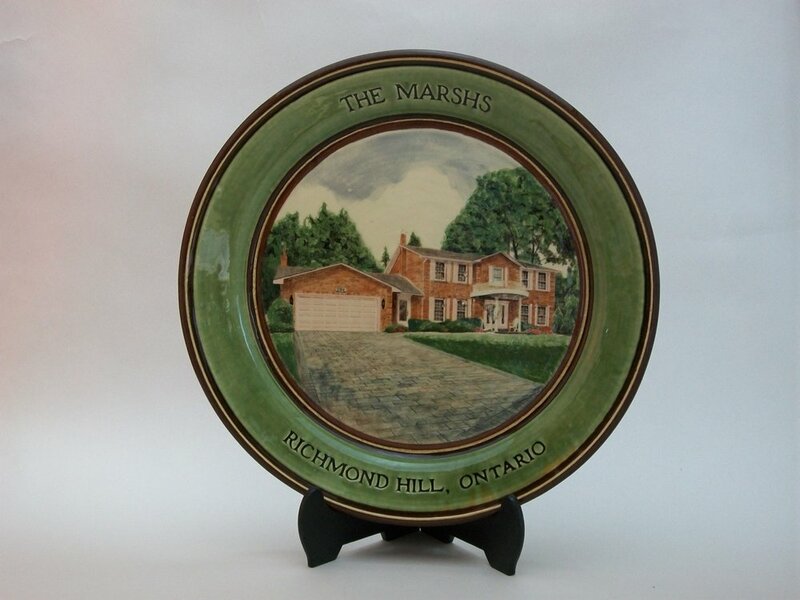 Birdsall-Worthington Pottery Ltd was established in 1977 in Mahone Bay, Nova Scotia by Pam Birdsall and Tim Worthington. After 40 years of a brick and mortar store on the main street of Mahone Bay, we have moved our studio and now will be selling our work online. Join us as we continue to create well-made additions to your life. Let’s make everyday Earth Day, through our mindful actions caring for our planet, our home. 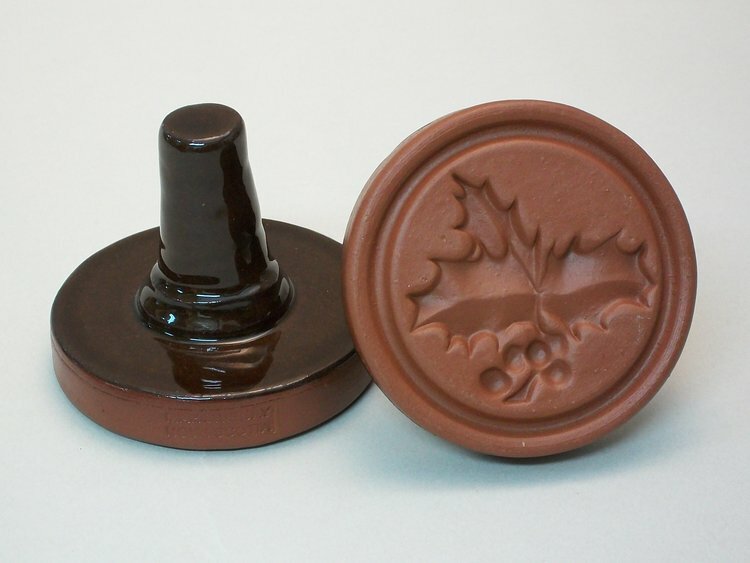 We offer these earth pendants, hand crafted in our studio, as a symbolic reminder to make this a year round event. 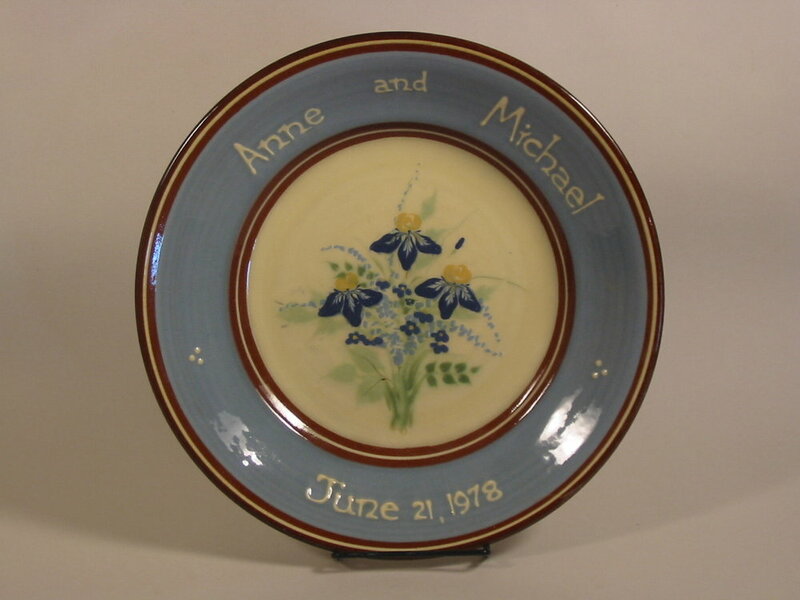 Pam and Tim make all of the pottery in their studio from a local earthenware clay. Their work is internationally recognized for their unique slip decoration. 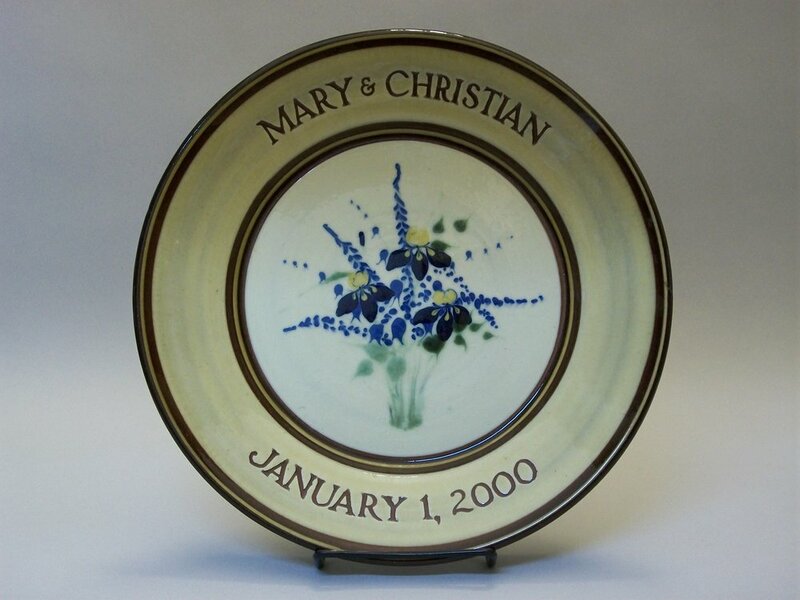 This demanding technique creates a very distinctive ware with an incredible depth to its surface. We think the use of clay, one of the most permanent materials, is perfect for the commemoration of significant events in people's lives. 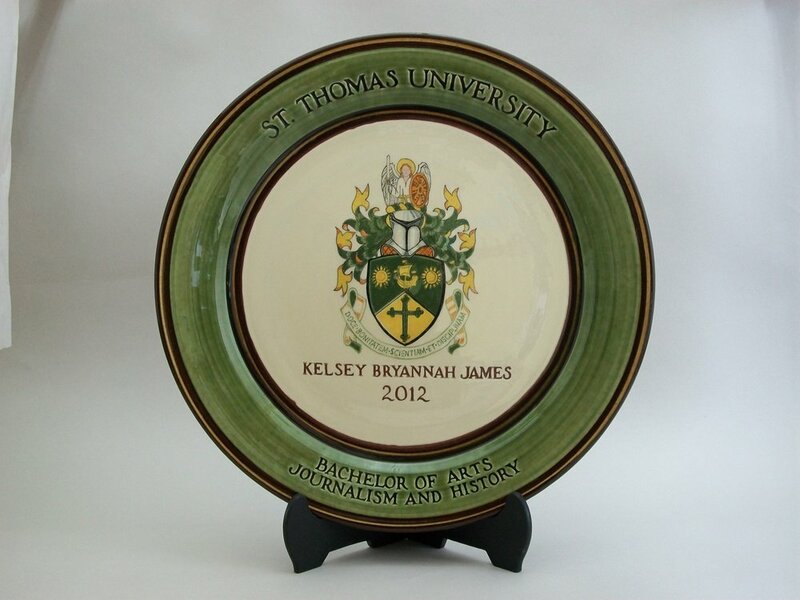 We do plates for: births, graduations, weddings, anniversaries, retirements, family crests & more. Items purchased locally may be picked up at the studio. Get the latest on new products, special seasonal items and intriguing peeks into our working studio—along with our occasional pop-up shops and online events!